Why do you need a gas detector in the first place? Before we get into discussing gas detector options, let’s address why you need a gas detector in certain lines of work. Whether you’re a roughneck, construction worker, coal miner, farmer or a laborer the chances of you coming into contact with hazardous atmospheres is higher than you may think. Hazardous atmospheres can be found everywhere and include confined spaces like silos, ditches, manholes, trenches, culverts, underground electrical vaults or storage tanks. A hazardous area can be one where oxygen levels are too low or too high. That’s right. While low oxygen levels can lead to trouble breathing, high levels can lead to explosions and fires. Those risks alone are enough to warrant concern. Add in potential materials that could catch on fire or explode and you’ve got a major catastrophe on your hands. That’s why it’s mandatory to have gas detectors present in these work zones. Gas detectors identify and measure the concentration of certain gases that could be dangerous to the health and safety of a worker. Below, you’ll find a few tips to help you choose the right gas detector and stay safer on the job. Before you can determine what kind of gas detector you need, you have to know the hazards you’re exposed to. Hazard assessments are the foundation of identifying, evaluating and controlling risk. Any unsafe level of contaminants can be dangerous, if not deadly, to your worker and it’s critical you know exactly what they are. It’s not just important for safety, it’s the law. Be sure to perform a thorough hazard assessment regularly. If you aren’t quite sure how, you can have a skilled industrial hygienist come out to the site and perform the assessment for you. Once you have an accurate hazard assessment on hand, you can begin to confirm the type and concentration of the gas or gases. All possible situations and scenarios should be considered when sampling. Choose sampling devices that have the sensors you need for the known and potential atmospheric hazards in the space to be monitored. Determine if you will do a diffusion or sample draw method for detecting and measuring gases. Diffusion kits use natural air currents to sample the atmosphere. Sample draw kits are used to sample remote locations such as below ground, in manholes or in utility vaults. You’ll also want to know if your monitor will need to be classified for intrinsic safety. Determine if your location is deemed a confined space, hazardous location or has the potential for flammable or explosive gases. If so, you’ll need a device that’s certified intrinsically safe. 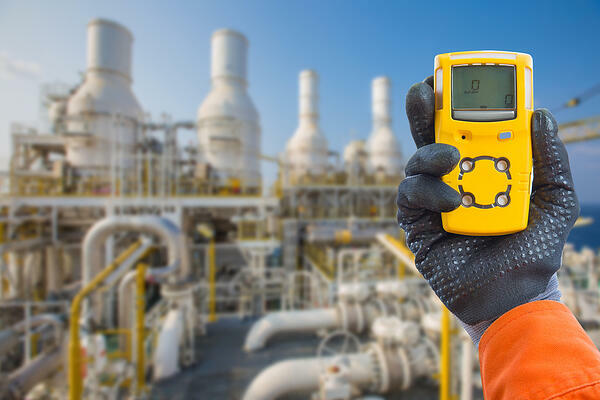 There are many aspects of gas detection that you will need to understand in order to ensure the safety of you and your employees. Purchase your system through a company that can explain warranties, usage, calibration, and offer technical support and advice. Single Gas: This type of monitor is pretty self-explanatory. Use single gas monitors when you only need to check for one specific type of a gas. Multi-Gas: With unknown or multiple hazards, a multi-gas detector can measure several gases simultaneously. Personal: Outfit each worker with a compact personal gas detector for continuous monitoring of dangerous gases. This option can detect changes in the presence of gas or oxygen levels, alerting workers of unsafe environments. 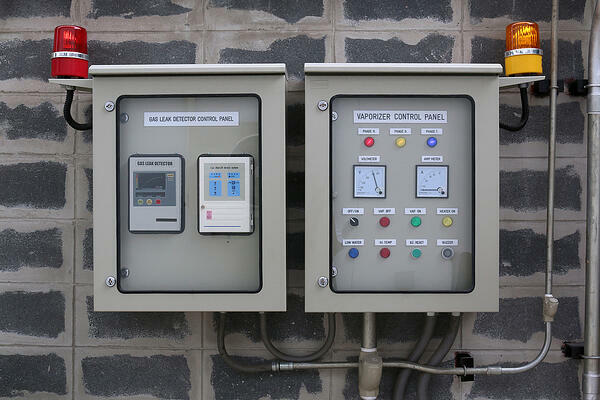 You can choose single or multiple gas monitors depending on the conditions. 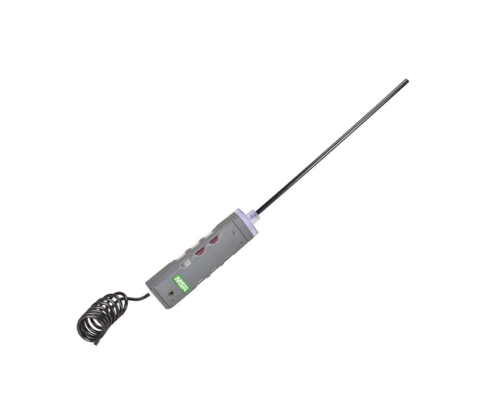 Transportable: Transportable devices can be used to check specific areas for the presence of dangerous levels of gas or oxygen and can easily be transferred from one zone to another. Fixed: When mounted in an enclosed area, this type of gas detector can be used to detect gas before workers enter the area. They often have alarms, sensors and can transmit data to a secondary instrument for monitoring safely. These are usually used in industrial plants and production processes. Gas Detection Systems: Gas detectors can be used alone or linked together to create a protection system. You’ll want to regularly test each monitor alone and as a system to ensure proper operation. Shop RMI’s wide selection of top-rated gas detectors right here. Technology is here. Why not use it? When it comes to the dangers associated with hazardous atmospheres, communication is key. Today, systems exist that can monitor gas and vapor levels and report data back to a control center. This is perfect for lone worker situations or confined space work. They can record and report data on personal gas monitors, as well entire gas detection systems. With data like this, information can be relayed from the affected worker to a remote host controller and back again. Another aspect of communication is choosing the right alarm system. Alarms can be visual, audible, vibratory or a combination of these signals. The one you choose should be determined based on the area and conditions it will be used in. Pro Tip ➤ Remember to calibrate gas detectors on a regular basis, at least every 30 days. Confirm accuracy of your device by “bump testing” monitors before each use and ensure adequate power source. Record all calibrations and bump testing to avoid miscommunication and train workers on safety protocol. Check the manufacturer’s recommendations for more information on your particular monitor. Many deaths and injuries that happen on a jobsite are completely unnecessary, especially when they can be avoided through proper assessment. The key to improving safety at work is thoroughly understanding the hazards workers face. Once you identify the risks, you can apply administrative and engineering controls and outfit your crew with equipment designed to protect. 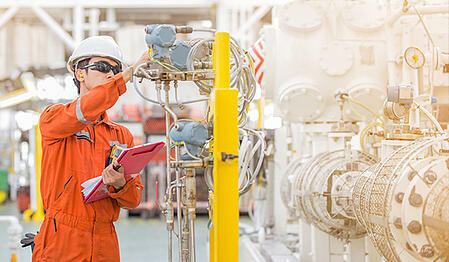 Below you will find a brief explanation of common hazardous gases and vapors in the oil and gas industry, but there are many more you should familiarize yourself with. Oxygen: We need oxygen to exist, but too much or too little can be deadly. When oxygen levels dip below 19.5% concentration, workers can lose consciousness. 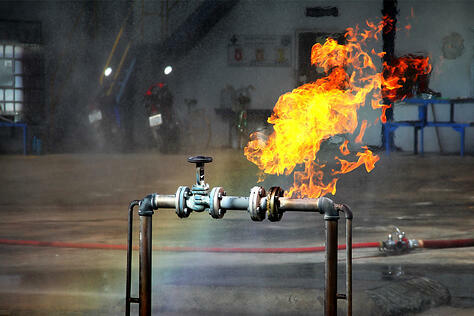 Too much oxygen can trigger a hot and fast fire if something were to ignite. Carbon Monoxide: Any time you’re doing hot work, oil and gas extraction or anywhere near mobile equipment exhaust, you run the risk of being exposed to dangerous levels of carbon monoxide. The tricky thing about carbon monoxide is that it’s colorless and odorless. So if you are inhaling it, you would never know. Hydrocarbon Gases: Employees that work with oil storage tanks are at highest risk of exposure to deadly gases like benzene, butane and methane. Exposure can cause both short and long-term health risks, including nervous system, liver and kidney failure or death. Workers should wear self-contained breathing apparatus (SCBA) for protection. Hydrogen Sulfide: One of the deadliest and most dangerous gases, hydrogen sulfide is created from the decay of organic matter. One whiff of hydrogen sulfide and you’ll recognize the familiar scent of rotten eggs. But don’t rely on your nose for detection. When levels get high enough, the gas deadens your sense of smell. Mercury Vapor: When working in the oil and gas industry, exposure to mercury is common. Mercury is a natural component in oil and gas and accumulates on pipes and equipment. If a worker were to inhale mercury vapor, it can cause major health concerns including tremors, nervousness, kidney damage and loss of vision or hearing. Women exposed can pass the poison on to unborn and even future children. Flammable Gases: Not only should workers be concerned for the dangerous and toxic gases and vapors they are exposed to, they should be concerned with the flammability risks. When a worksite has flammable gases present, a full site assessment is necessary to safeguard against fires or explosions. Whatever challenges you face, RMI is here with the solutions and advice to help. As always, if you have questions — JUST ASK! We’d be happy to assist you in any way we can.